It’s time to take a trip – and you’re ready to go! Destination? Africa! Tanzania has called your name and now you’re answering. Congratulations, you’re going to have so much fun! Of course, there are some precautions you should take as you begin your journey, just as there are concerns you should consider before any vacation or travel experience. Google is a great source for finding more specific information about any location you travel to, so when in doubt be sure to look there as well. 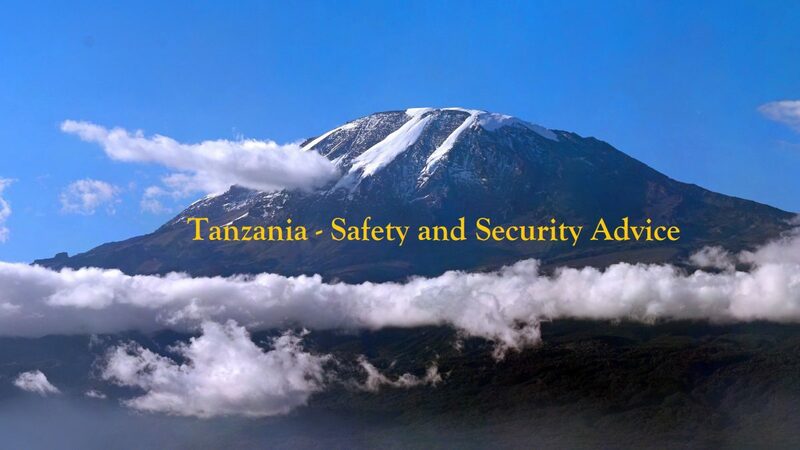 Here, we’ve collected a few things to keep in mind in regards to safety as you travel to the eastern coast of Africa. As with any travel destination, the main thing is to be aware of your surroundings. Seclusion can be nice, but when an area is overly isolated and you don’t remember the last time you saw another human being that could be cause for concern. Try not to stray too far from the beaten path if you want to prevent risky situations. If you’re in a more central location using public transportation, only accept taxi rides from reputable companies, and never get into a taxi with other riders who are not part of your group. Don’t take a safari deal from just anyone – do your research before your get to Tanzania and schedule a safari ahead of time. Avoid paying the people before the safari and beware of false “trip leaders.” Never accept rides from strangers who solicit you with their transportation services. Be careful when interacting with anyone trying to sell you something in general. As far as the cities go, things can get crowded and people can get pushy, especially in Dar es Salaam and Zanzibar. Walk with purpose and stay confident in the flow – obvious clueless tourists become a bigger, flashier target for anyone with bad intentions. Again, as with any travel, keep your passport, money, and important travel documents as close to you as possible, and check on them regularly. Don’t offer any money or alternative pricing while holding your wallet in sight. Be smart about where you spend money, and transfer into local currency whenever possible. Check government websites for more timely, current details of the safety precautions. For example, if there has been violent behaviour in a certain location in the country, it may be listed on the website so that you know what areas to avoid. Right now, the government website is encouraging visitors to use extreme caution and avoid any type of political demonstrations. Never put yourself in danger, even at the risk of a little fun. Stay around groups of people, avoid complete isolation. Keep your belongings close. The more aware you are of your surroundings, the safer you will be. As always, have fun and enjoy your trip!